We spend a lot of time indoors. For many of us, most of our day is easily passed within four walls; the only breaks arriving at the beginning and end of a regular routine (and lunchtime too – I don’t want to see any of you eating at your desk). Fixed in pattern, activity, and expectation these moments spent outside are limited in scope and possibility. As such, it is the internal worlds which we have created that lay the background for much of our daily lives. Whether work, recreation, or home, interior space plays a defining role in establishing the contemporary character of social interaction and personal fulfilment. Living so internally raises issues other than the purely socio-spatial. The quality of indoor environments – air circulation, access to natural light, and heating levels for example – becomes an ever more complex and extensive concern. Designs focused on safety and evacuation in the case of emergency must be developed to respond to growing floor areas of an internalised population. Ergonomics, flexibility, and durability emerge as popular concepts as we interact with the objects around us more often, for longer periods, and in various circumstances. And the expectation of user control takes on an increasingly precise meaning as the possibilities of new technologies continue to evolve. Last year, at Architecture and Building Expo 2017, two products, which dealt with some of the issues around internal environments, stood out in particular. As a result, both were declared winners of the Best Interior Product Award in the Architects’ Choice Awards. The first of these was the Garo ‘StoveGuard SR3’. This item brings on additional level of safety to a critical section of kitchen design. It works by monitoring activity around the electric hob, including temperature, cooking, and human action. If a potentially dangerous situation is sensed, the ‘StoveGuard SR3’ will sound an alarm and cut power to the oven if necessary. It could prove to be especially useful in shared kitchens and households where multiple users can be expected to share the same space. The second award winner was the ‘HydroHALT’ sealing system by Sealux. This product set includes a clever shower tray and bath upstand sealing system. While founded on a proven range of materials and best practice installation methods, the overall design provides a much more complete and effective solution to waterproofing than traditional adhesive strips. Both ‘PlumBud’ and ‘TileBud’ versions are available for a range of different applications. Garo (stand D21) will be returning to Architecture and Building Expo 2018, where they will be joined by Forbo (stand D14) who were awarded a ‘Highly Commended’ in the Best Interior Design Product category for their ‘Allura’ range of luxury vinyl tiles. Available in over 100 different designs, a further three installation formats are provided: stick, tack, or click. With natural wood and stone being emulated in this extensive floor tile range, the material world of our internal lives is sure to change long into the future. The winner of the Best Interior Product Award and the Best Interior Design Product Award in the Architects’ Choice Awards 2018 will be announced at the show, where architects and specifiers will have a chance to assess this year’s latest developments in internal construction products. 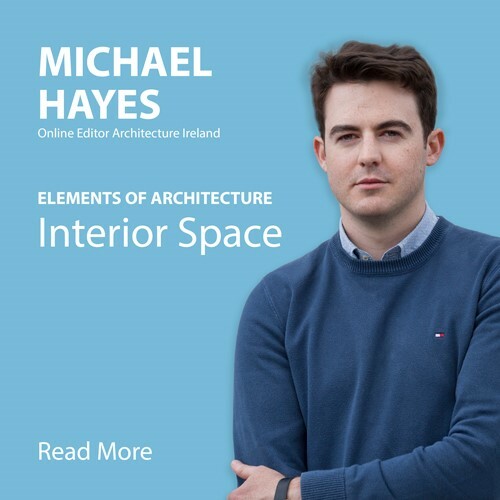 For more information, please visit archiexpo.ie where you can sign up to the Architecture and Building Expo newsletter, as well as find additional material on exhibitors, talks, and how to visit.